This is a unique role playing game which can be set from the earliest use of gunpowder to the near future with its ultramodern technologies. Games range from deadly mercenary missions and stealthy spy assignments to the careful piecing together of puzzling mysteries. 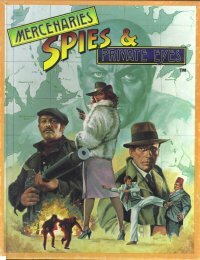 Mercenaries, Spies and Private Eyes allows you to create and play many interesting characters: hardbitten mercenaries, suave deadly spies, brilliant detectives, or fearless adventurers. Through group play with friends, or the solo adventures you play alone, MSPE is elegantly simple, easy to learn, and most of all, fun to play! 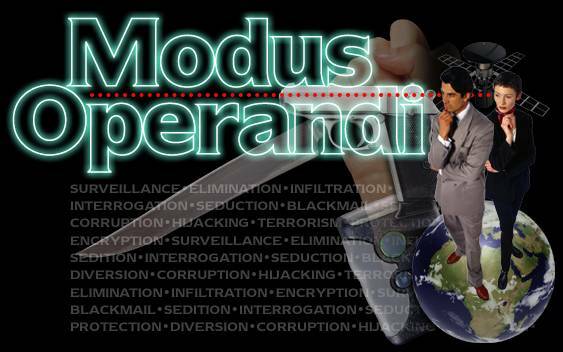 This game contains everything you need to play many games of MERCENARIES, SPIES AND PRIVATE EYES, including almost 100 skills for character development, and an extensive list of modern and archaic weapons.